We are pleased to announce the appointment of Joe Flavin as our new Director, following the departure of Nick Walker last year. Joe joins us from Axis Ballymun on the northside of Dublin, a venue that specialises in arts and creativity for young people. 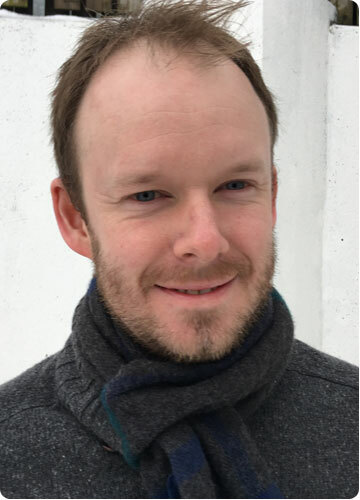 Previously he has worked at the Visual Centre for Contemporary Arts and The George Bernard Shaw Theatre in Carlow and The Wales Millennium Centre in Cardiff Bay. Joe co-founded RED Wednesday Arts and developed The Scribble Sessions, a series of staged readings of new plays by new writers from across Ireland, performed at the Axis Centre in Ballymun, providing a vital launch pad for the many of the participating projects and writers. Joe is also a founding member of The Corps Ensemble, which works to merge the talents of a professional group of actors with the best of Ireland’s writing talent with an ambition to bring back large scale plays to Irish stages. Most recently Joe wrote Glimmer, a Halloween show for children, which was performed as part of the Otherworld Festival 2017. We look forward to Joe taking up his new post with us in April.